The boys grew up and got famous singing old songs about the evils in the human heart and that stern southern God from whom no one can hide. They were finally persuaded to add secular folk songs to their catalog when someone reportedly told them, “You can’t sell tobacco with gospel songs.” But sacred or not, that dread of the living God permeates their music. Their most critically celebrated album is The Tragic Songs of Life (1956), and if you pay attention to lyrics, it’s not something to listen to right before bed. But later on, just in case their was doubt their beliefs about evil and God’s judgment, they released one of the most iconic album covers in American music for Satan is Real in 1960. Charlie was three years younger than whiskey-swilling Ira, who passed through this life much swifter and rowdier than Charlie. Known for his quick temper, Ira started choking his third wife during a fight, and when he turned, she shot him three times in the back. He lived through that, but he died in 1966 when his car was hit by a drunk driver. Ironically, he was facing charges for an earlier incident of driving under the influence. Knoxville girl / You can never be my bride.” She had “dark and roving eyes” and that was enough for him. Even after he kills her, his jealousy remains. “Go down” he says to the corpse, “You can never be my bride.” But the man in the song doesn’t get off easy. In prison remembering the night of the murder, he sings, “I rolled and tumbled the whole night through / As troubles was for me / Like flames of hell around my bed / And in my eyes could see.” It sounds a lot like the Satan is Real album cover. 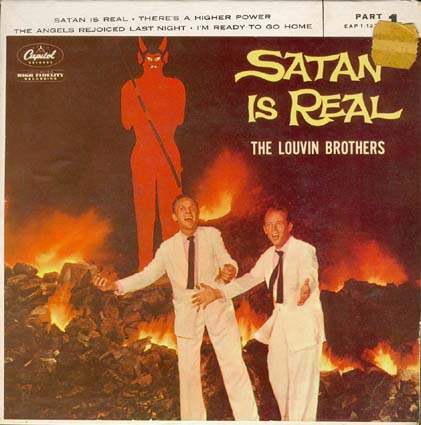 The world the Louvins lived in and sang about is one where you could be struck by divine justice in a moment, and where everyone believed that hell was real, especially the sinners. 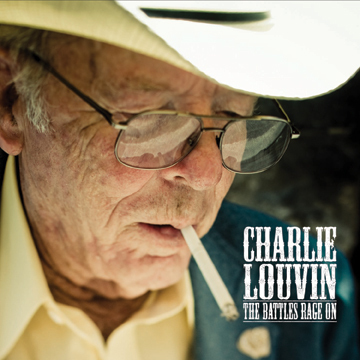 And with the death of Charlie Louvin, its one that seems even further away but still very familiar. Click on these links to follow Matt Shedd’s writing on Facebook, Twitter, or through A Missing America, an American arts and culture blog.